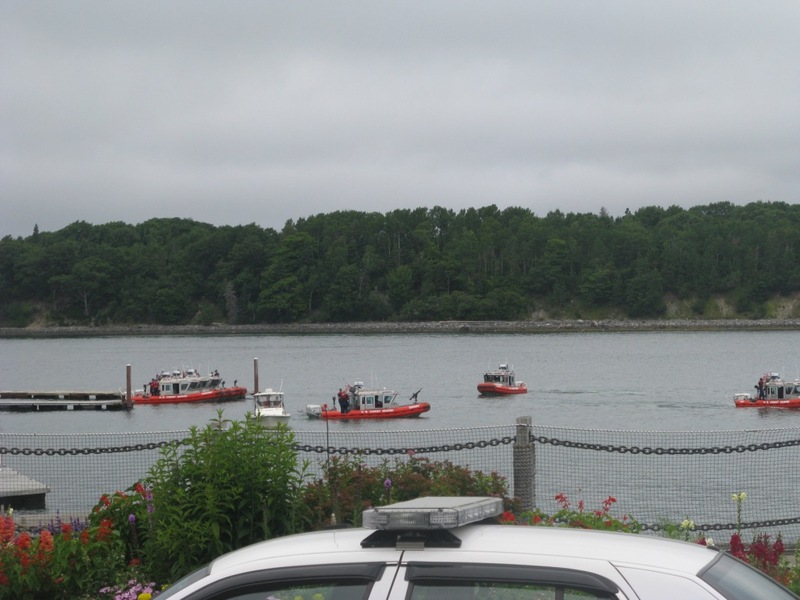 My summer vacation to Maine provided many beer drinking adventures and I’ve already written four posts about the awesome beer I sampled during our stay in Acadia National Park and Bar Harbor. Would you believe there’s more? Well, if you’ve ever explored the beer scene in Maine, you’d know that I’ve really only scratched the surface of all of the great beer that Maine has to offer. But it’s time to move on, so this will be my final post in my Guide to Maine Beer (until my next trip to Maine, that is). In order to wrap things up, I’m compiled a list of the Best of the Rest. 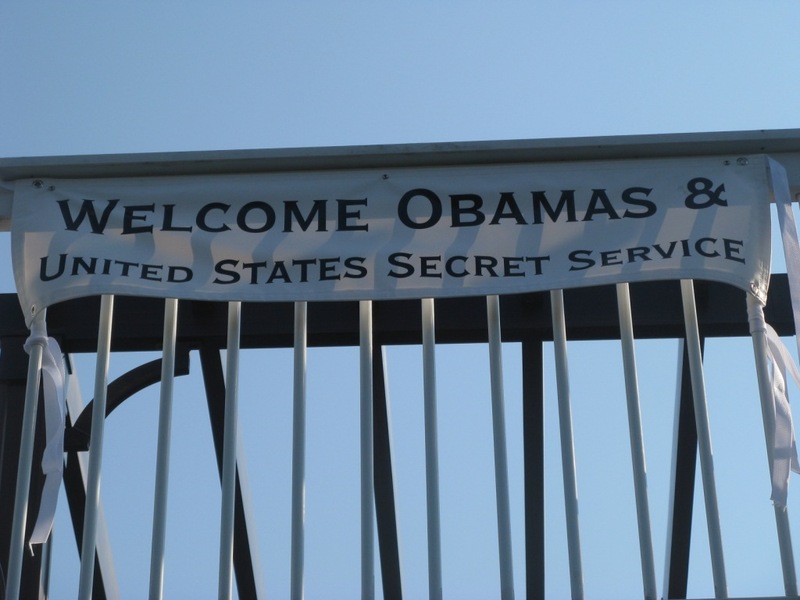 Best Reason for Being Allowed Through a Secret Service Check-Point: Beer! There were four house beers available and I ordered a sampler, which featured the Best Brown, Precipice Pale, IPA, and Irish Stout. 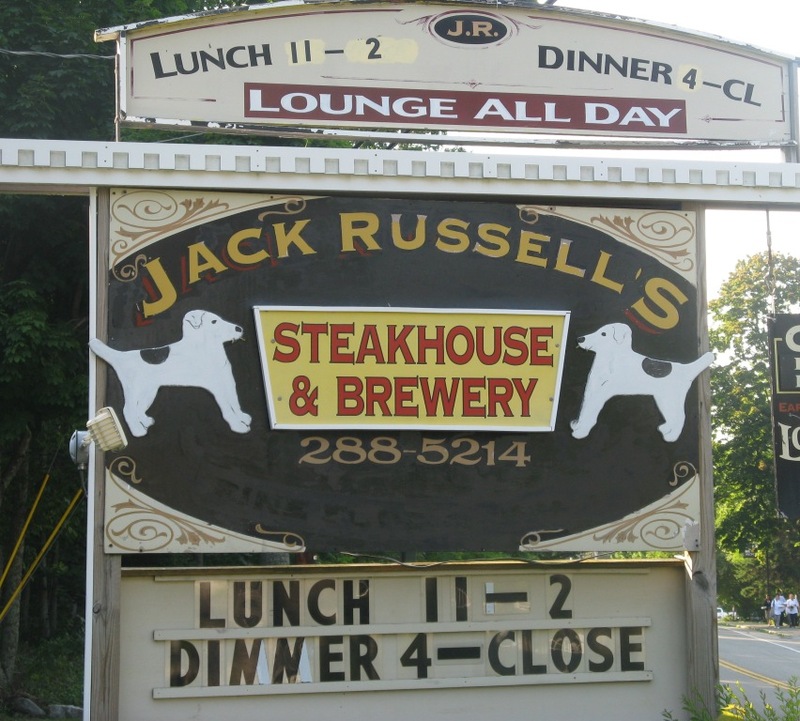 The Jack Russell biergarten was the perfect spot to catch up with our Maine friends — Chris, Tricia, Sam, and Finn. 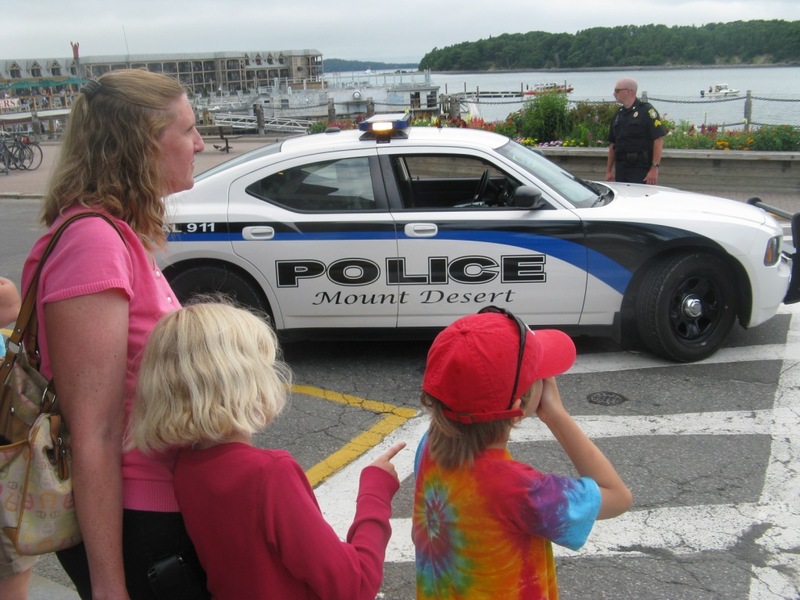 It was also the perfect spot to watch the Presidential motorcade as it went by on its way to the President’s hotel. 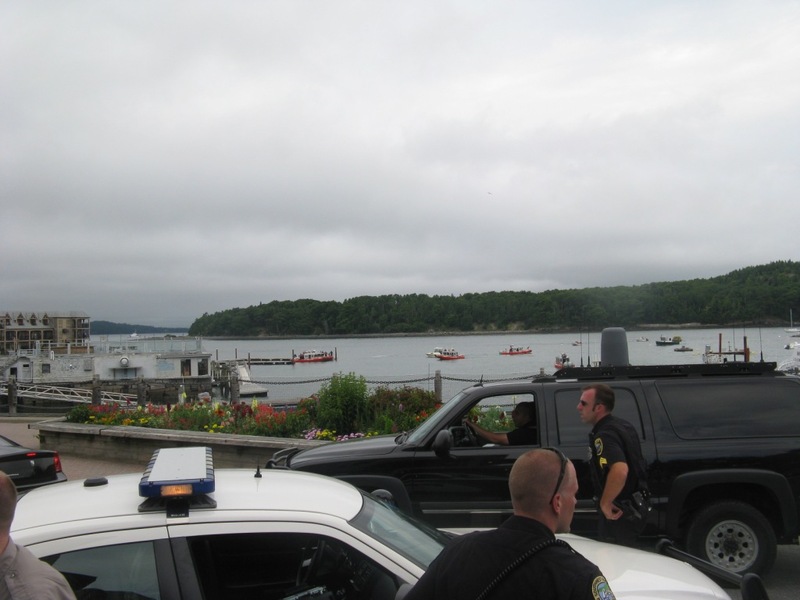 We were walking around downtown Bar Harbor deciding on a place for dinner when we saw the street along the harbor blocked off. 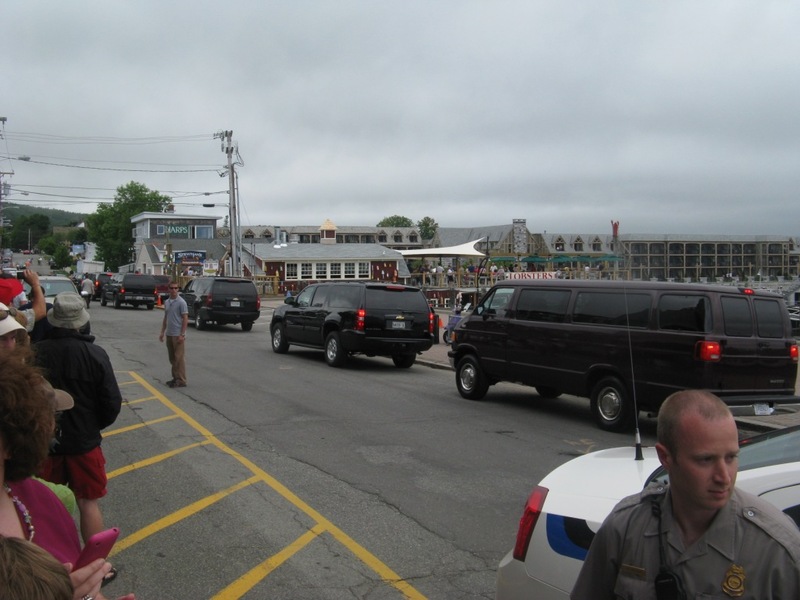 There were Park Rangers, Bar Harbor Police, and Secret Service keeping the crowd back, so we knew the President must be nearby. Word on the street was that the First Family went out on a harbor tour, and the heavy Coast Guard presence in the harbor backed that notion. 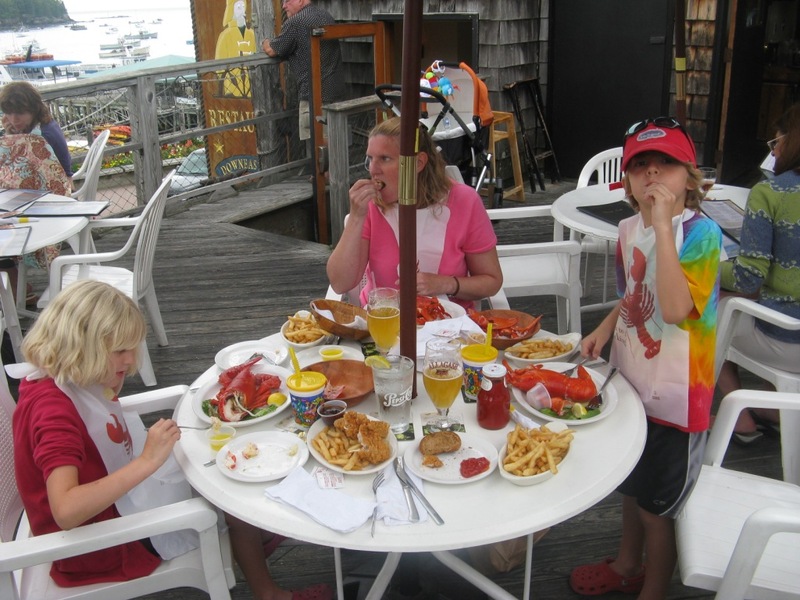 Minutes later, a boat reached the dock of Stewman’s Lobster Pound, and the First Family walked off the boat and into the restaurant. We decided to grab a table for dinner at the Quaterdeck, across the street from Stewman’s. We sat outside on the second story deck overlooking the harbor. From the deck railing, we had a perfect view of the lively scene on the street below. A large crowd had gathered on the sidewalk eager for a glimpse of the President. 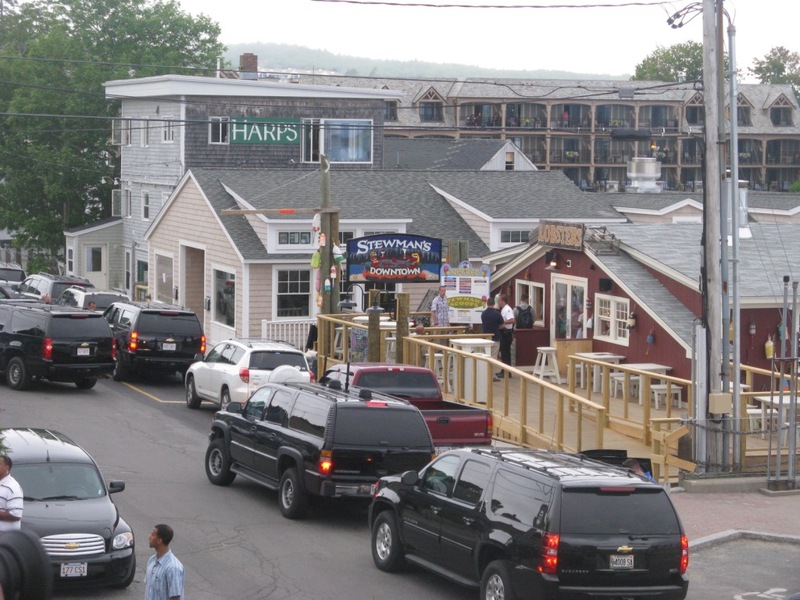 Five black SUVs were parked on the street, along with police cars and a bus for the President’s press corp. From my vantage point, I could just make out the profile of the President through the window of Stewman’s. 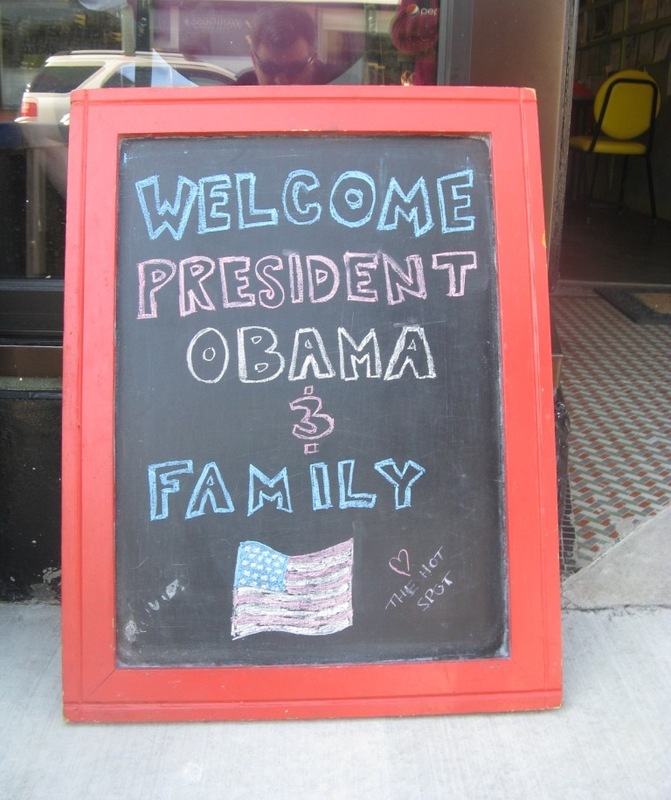 I had an Allagash White with dinner, and just as we were finishing our meal, the Obamas were too. 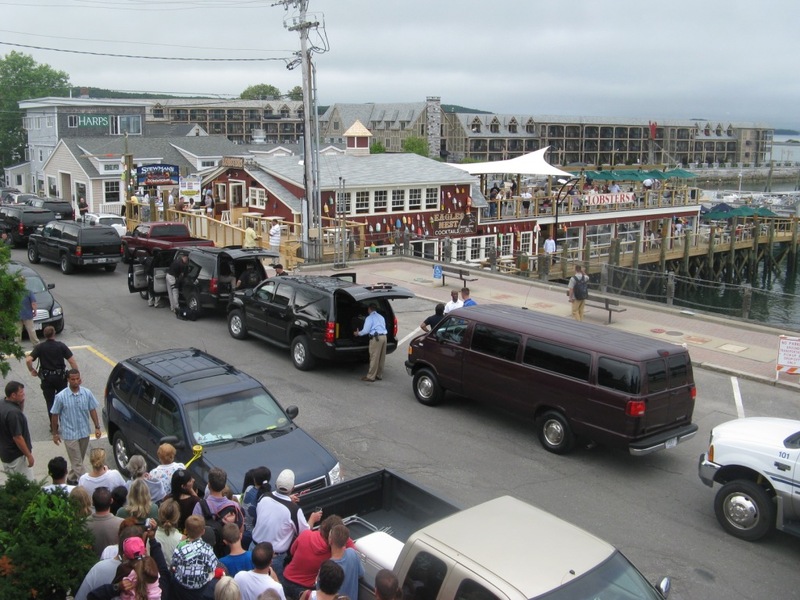 There was a commotion down on the street as the SUVs pulled forward to pick up the First Family for the ride back to their hotel. 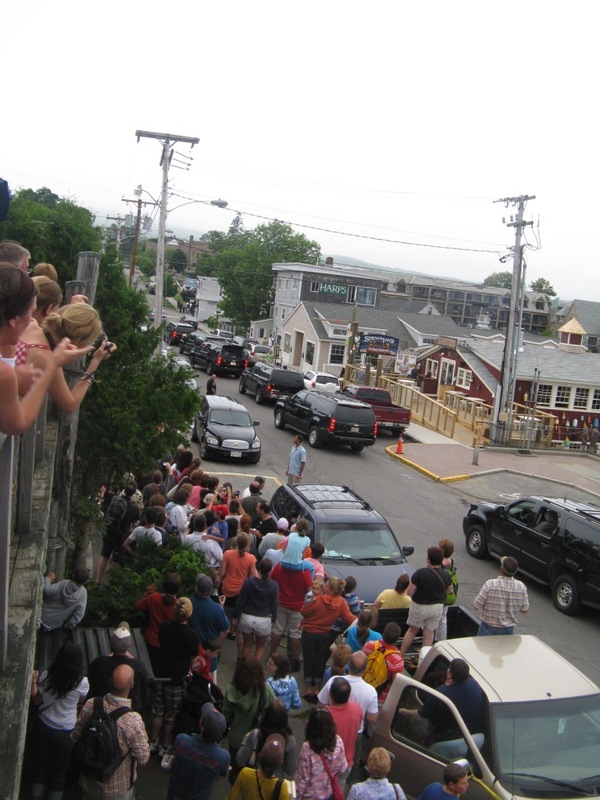 From our second story perch, we had a great view of the President, First Lady and family as they left the restaurant and climbed into the waiting SUVs, but not before pausing and waving to the crowd. That Allagash White is one beer I’ll remember for a long time. The next night, we ate dinner at Stewman’s and our waitress told us that we were sitting at the same table where the President and his family had sat the night before! I wonder if the President drank a Stewman’s Brown (brewed by Shipyard) and a Gritty’s Red, like I did with my dinner. Check out my gallery below and this video on the NECN web site for more on the President’s vacation. 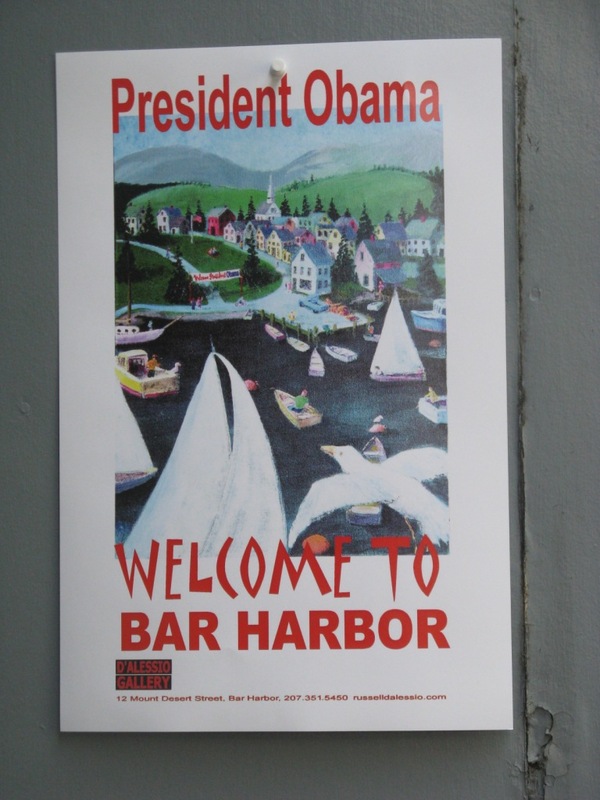 There was a buzz in Bar Harbor during the President’s visit, and it was fun to be a part of that excitement. 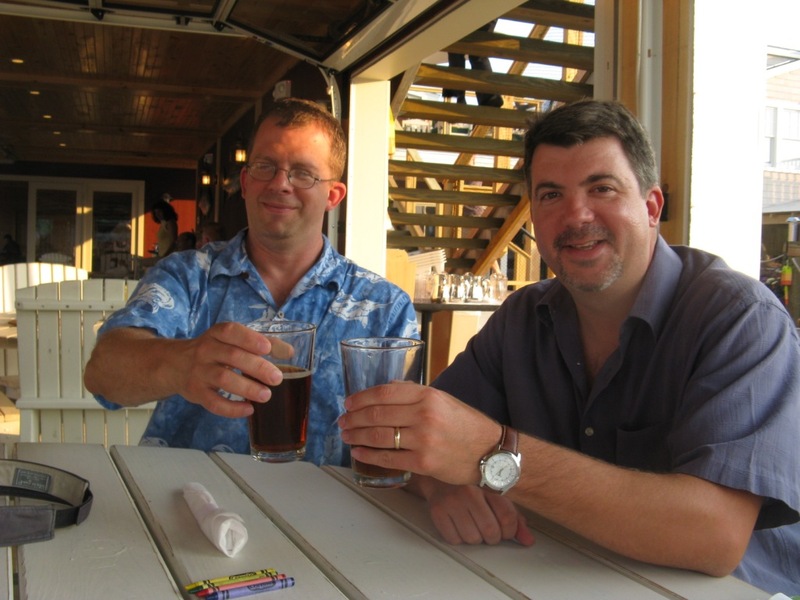 But enough with the Presidential stories…the last story from my Maine beer adventure is about Andrew’s Brewing Company in Lincolnville, Maine. 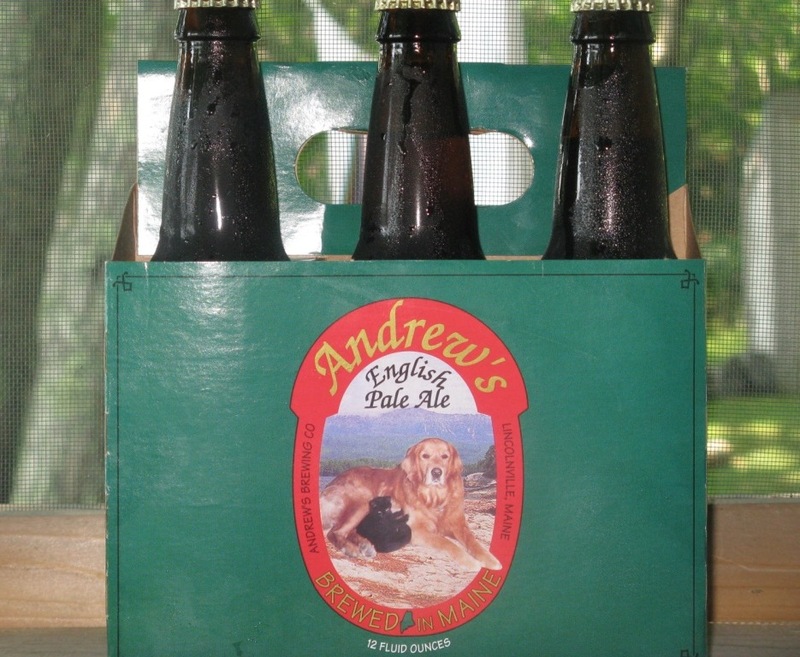 Andrew’s was established in 1992, and I fell in love with Andrew’s English Pale Ale during my first visit to Maine in 1997. 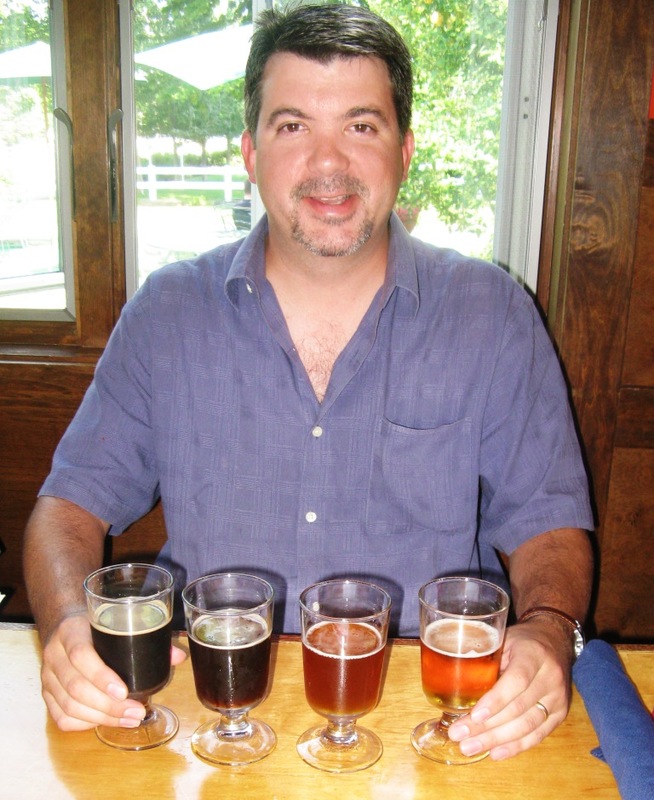 Andrew’s is a true microbrewery and the beer is only available in a small area of Midcoast Maine. Consider yourself lucky if you ever get a chance to try this excellent session beer. And a final nod to the beers I had while watching the World Cup Final at the Badger Pub in Union, Maine: Stone IPA and Weyerbacher Blithering Idiot (Go Spain! ).